Pygraphics, Inc. Pyware 3D Drill Design software for marching ensembles. Let Pyware design your props, uniforms, and equipment! Some say it’s the world’s best drill design software. Accurate. Simple. Everything you wanted, with you always. Say goodbye to the printer and hello to portability! 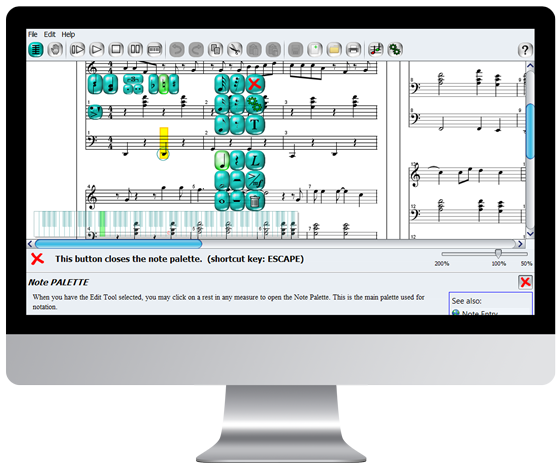 Music Writer Touch is a music notation software developed for use with touch screen monitors and interactive whiteboards.